During the dark ages, mentally ill patients were somehow disregarded, placed in shackles, made fun of, and used to scare and discipline children. Humane treatment is not part of their medical management. The fundamental rights of being a person were downgraded and not highly appreciated. The right of a person with mental illness does not stop nor alienates him from the time he is diagnosed with such condition. In fact, these rights should be observed to ensure quality and functional living. Accessible and Affordable Health Care. The government or state is obligated to provide its citizen health care services that are accessible, affordable, safe, and quality efficient. No one is deprived of this despite their race, creed, religion, status, location, medical diagnosis and degree of severity. 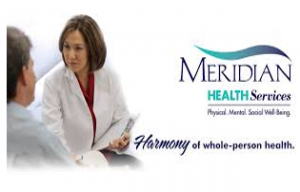 Health is a basic human right; therefore, it is just proper that everyone should have the capacity to take care of their physical and mental health according to their own needs. Autonomy and Power During Decision Making. A common myth surrounding mental illness is that the individual is no longer capable of deciding for himself when it comes to treatment. With this notion, family members or significant others are tasked to decide for them. 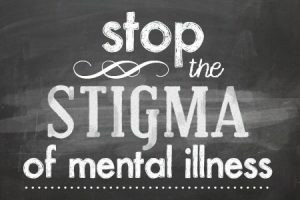 The new law now orders that a person with mental illness should be made aware of their condition, together with the planned interventions and possible negative effects. Under this premise, the person can voluntarily admit himself to a mental institution if he is aware of his problem and cannot be forced to be institutionalized if he is lucid and able to comprehend on what’s happening around him. Non-voluntary commitment only takes place if the person poses self-harm or threat to others. Community Living, Right to Family of their own, and Practice Other Duties. Gone are the days that mentally ill persons are isolated or excluded from the community. Back then, they are imprisoned, placed in asylums and left there to die with no form of social activities. Some mental institutions are strategically located far from human contact, and no visitors were allowed. With the new law, constant and effective communication, and allowing them to practice their duties and obligations as a citizen and as a person, it is expected that recovery rates of persons with mental illness are higher and possible. As such, they are not being restricted to travel, marry, have children and raise a family of their own with appropriate support, practice their political, cultural, and spiritual duties. Confidentiality and Informed Consent. 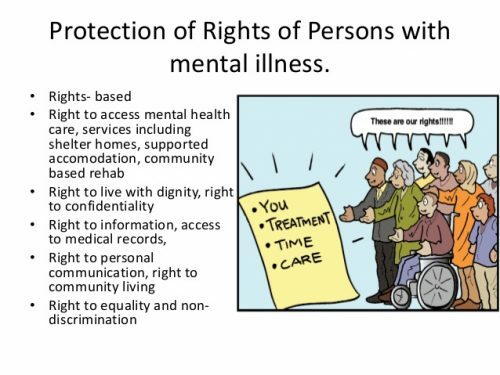 One’s right to privacy extends to persons with mental illness. No one is obligated to know your mental health state and the treatment that you are going through. The only exception is when one’s safety and other’s safety are compromised; then this is the time that authorities are required to know what is going on in your life. We acknowledge the fact that the problem with mental illness still lingers and the move to eradicate the stigma is bleak. Nonetheless, the drive to continuously educate the people about mental illness is high, and we should take this opportunity while we can.